outline through the nose compensates for its shorter length. The Quad is an extremely maneuverable board with a straight up fast rocker. 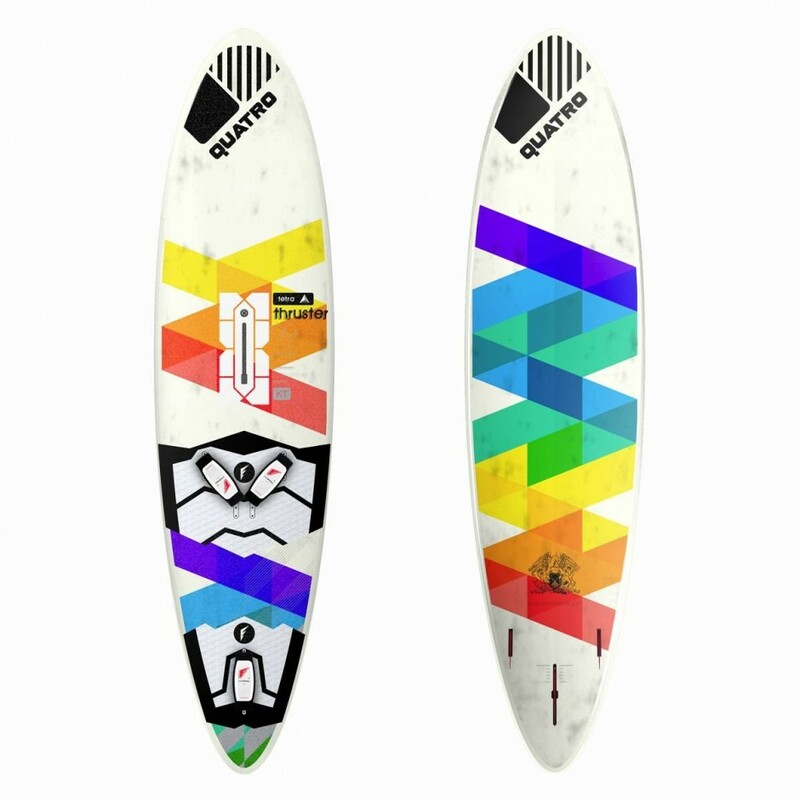 Its fuller profile thickness through the stance compensates for the Quad’s shorter length and for moving the stance back on the board. 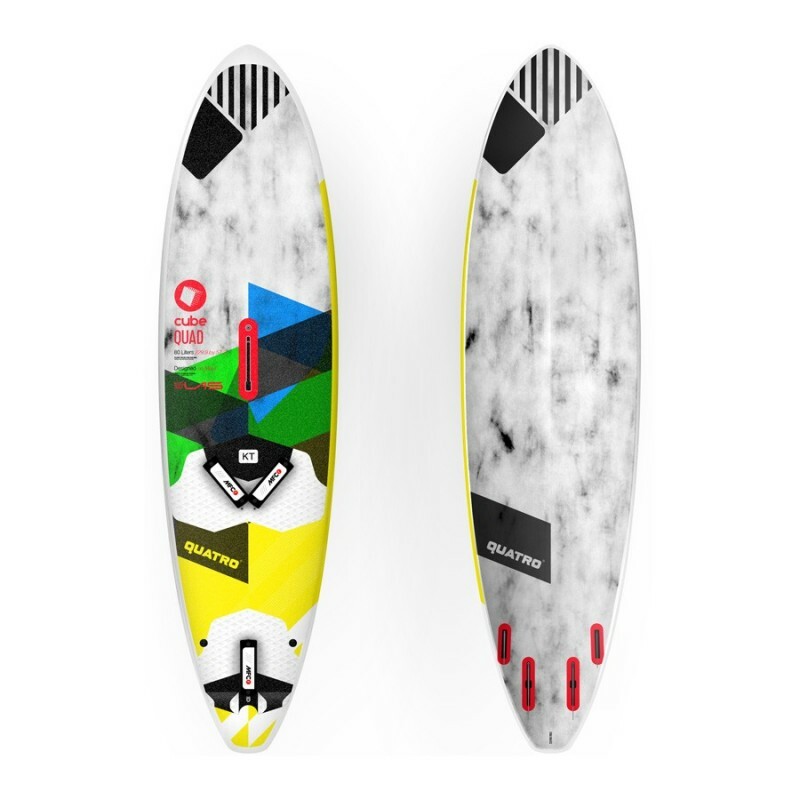 This creates a highly dynamic and agile board with amazing low swing weight and a super quick tail. 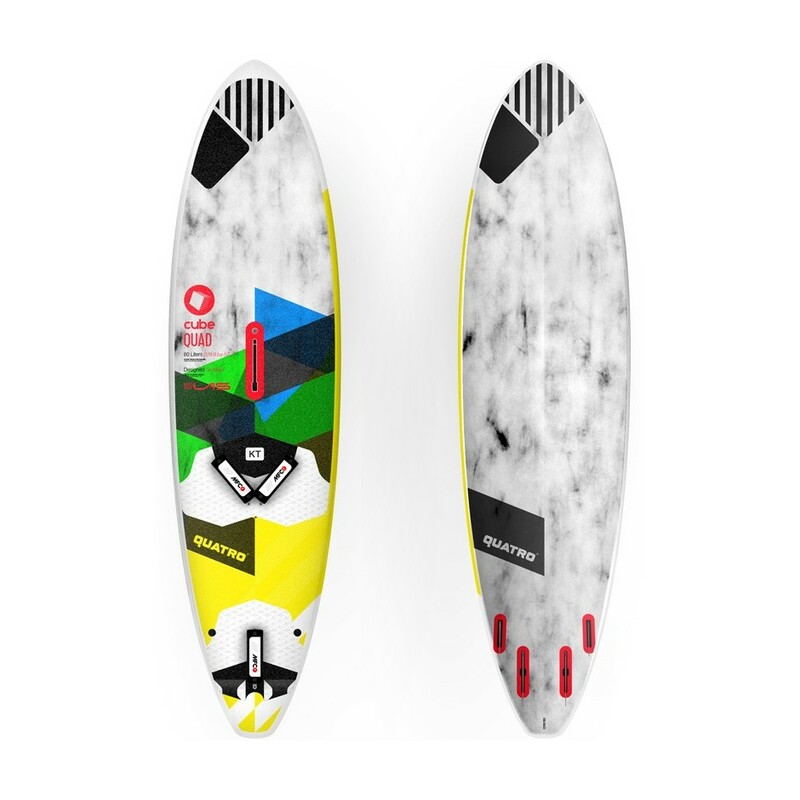 A blend of double concave and vee runs throughout the bottom and delivers instant planing along with a comfortable but firm ride. 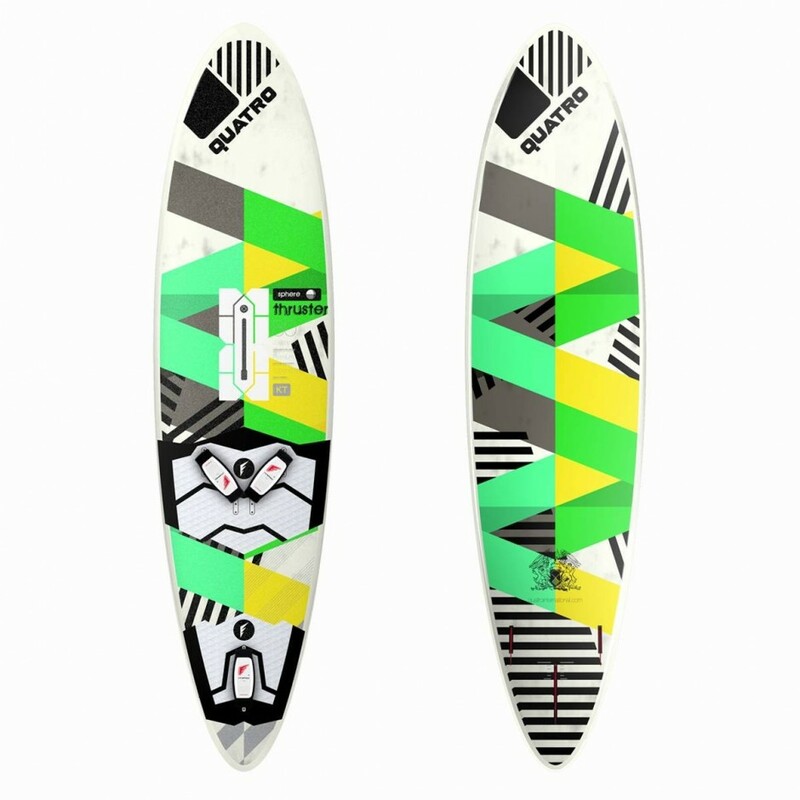 This board with its quad fins, fast rocker redesigned outline and profile allows you to shred in all sorts of varying conditions, from side off Hookipa to onshore Pozo - the best of both worlds put into one new Quad design!!! !